Since my girls could walk they have been helping me around the house. It all started when Sasha was about a year old and walking around the kitchen. Whenever I would unload the dishwasher she was right there pulling out her plates and cups. I cleaned out a drawer at her level and moved all her plates, cups, bowls into that drawer. It took awhile but eventually she would take her stuff out of the dishwasher and put it into her drawer. Once Penelope started walking she copied Sasha. Kasper is now walking around and taking things out of the dishwasher himself. He handed me forks and spoons the other day one by one laughing the entire time. Sure it takes for.ev.er to unload the dishwasher when little hands are helping, but it is also a time where they are learning so much about the day-to-day life in our home. 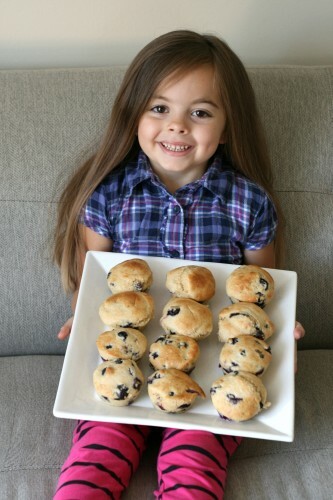 Today Penelope begged me to make blueberry muffins. Blueberries are her absolute favorite. The last three pints we bought were supposed to be muffins or scones but she ate them before we had a chance to bake them. This morning she opened up the crisper drawer and saw a fresh pint of blueberries in there and begged for muffins. I couldn’t refuse. Penelope measured and mixed these bad boys all by herself. All I did was put them in and take them out of the oven. Of course she declared these to be THE BEST MUFFINS EVER! It is only natural to think whatever you have made is the best. Doesn’t she look so happy? Grab your kiddo and get in the kitchen and start cooking! Remember messes and mistakes are all part of the learning process. In a small bowl mix together milk, applesauce, egg, and vanilla. In a large mixing bowl mix together all dry ingredients. Make a well in the dry ingredients and pour in the wet. Stir until combined. Gently fold in the blueberries. 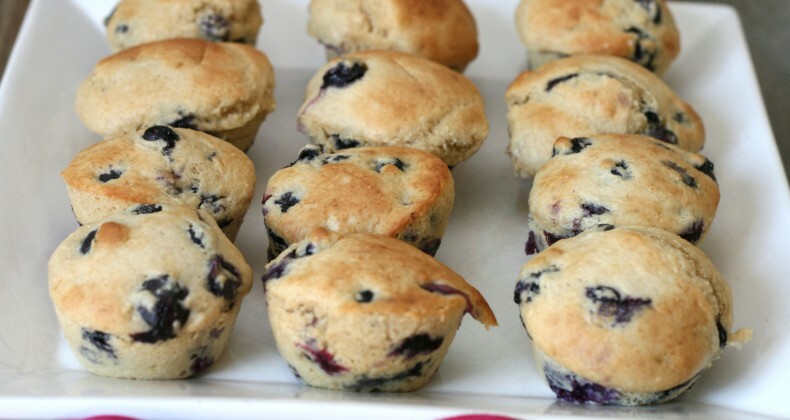 Spoon batter into 12 regular sized muffin tins. Bake for 18-20 minutes until golden brown and a tester comes out clean. Remove to wire rack to cool. For mini muffins bake 10 minutes. Love this, Penelope! We love baking together too! Wonderful job Penelope!!! Wish I was closer so I could eat them with you. They look sooooo yummy. Great Job, Penelope! 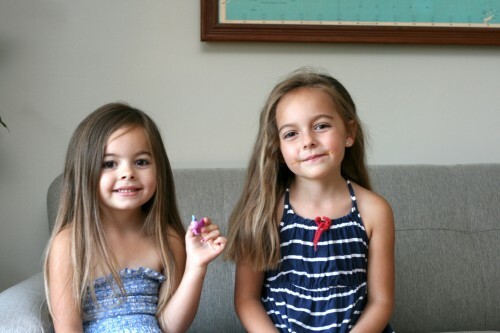 Awww, you have the prettiest girls! Love that they’re so into helping out! 🙂 These muffins look amaze!